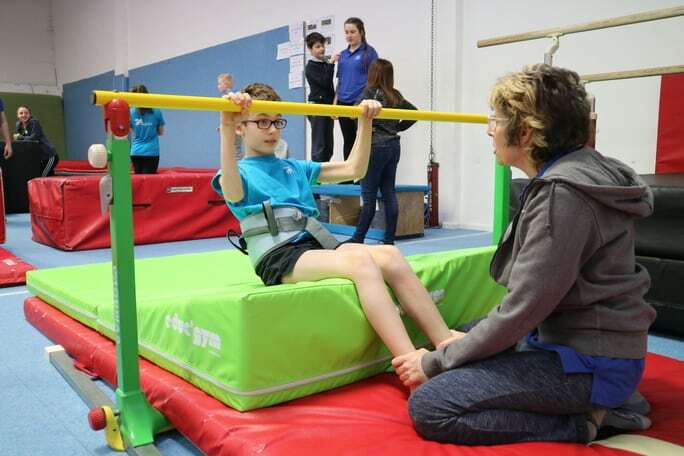 Our GYMability classes are available to all children with a social, physical or learning disabilities. We provide a fun and safe environment for each individual to reach their maximum potential. 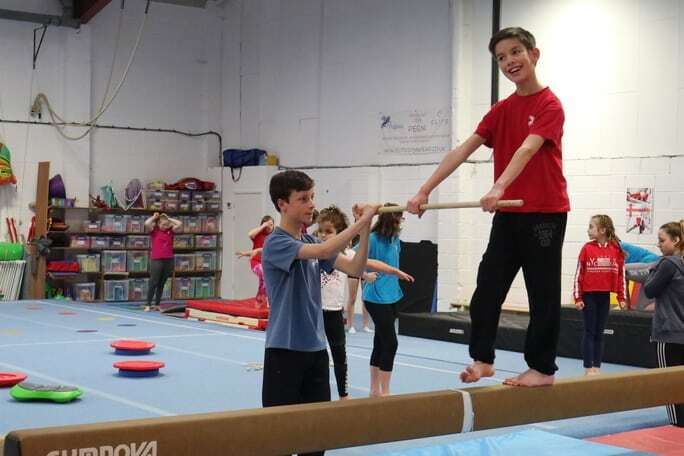 We offer a bespoke programme whereby children not only have the opportunity to enhance their gymnastics skill but also improve their physical and mental wellbeing. There are currently 3 classes available for school aged children running at Pegasus; Junior, Senior and FUNdamentals. Participants will need to be assessed prior to starting at the club and all Medical Screenings (if necessary) need to be completed. 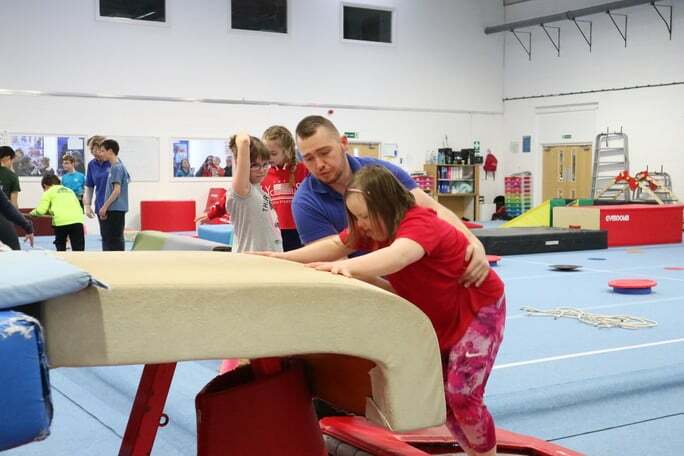 Junior and Senior classes are parent/guardian unaccompanied and run by fully trained British Gymnastics certified staff and supported by Young Leaders. Due to these classes being unaccompanied and structured we do require individuals to be able to work alongside coaches and other children in a group setting. Parents and Guardians are required to attend and participate in our FUNdamentals class (a description of which can be found below). Junior classes are aimed at children within Primary School. Classes start with a short warm-up and progress into a structured class using gymnastics equipment. Badge schemes can be completed. Senior classes are aimed at children within Secondary Education. 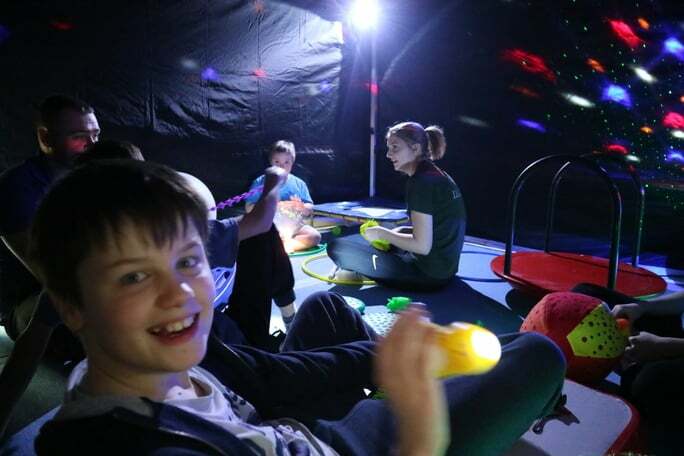 These classes are aimed at children over the age of 5 years old who may be unable to integrate into either mainstream or structured SEN Sessions for any given reason, be it physical, learning or behavioural. Parents / carers are expected to take an active part in this child led session with coaches available to support in an unstructured manor. Children will be able to utilise the gym equipment to help improve their physical and mental well-being. Set targets are used to ensure full use of the equipment along with a feeling of fulfilment and achievement for both parent/guardian and child.